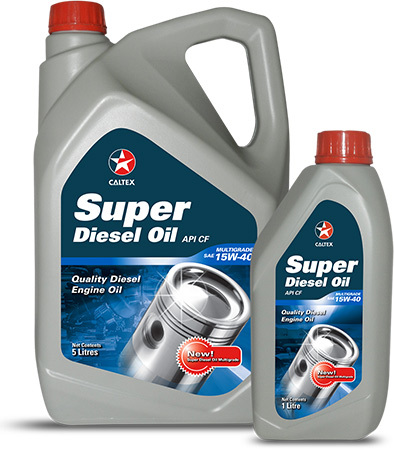 Diesel Vehicle Engine Oils | Product Categories | Welcome to Chevron Lubricant Lanka PLC. 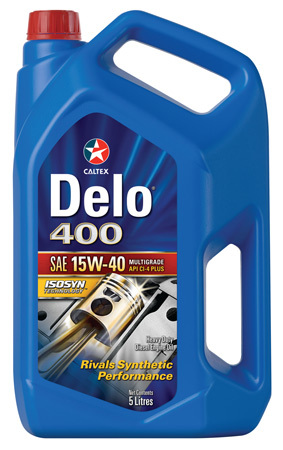 Introduced in 1935, Delo® was the first successful commercially available detergent-type diesel engine oil based on “ISOSYN” technology. 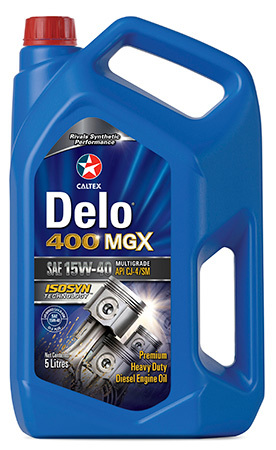 Caltex Delo® has a long history of proven performance that has firmly established the Delo brand name worldwide as the symbol of reliability and unsurpassed performance for all types of diesel engines. Lead by Caltex Delo® 400 MGX Multigrade, these advanced technology products set the standard in customer value. 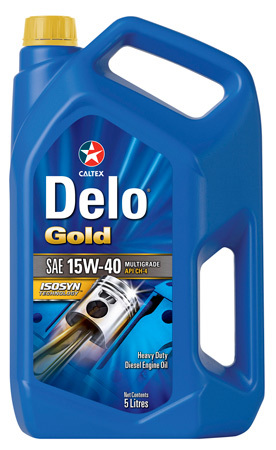 Delo® engine with ISOSYN® Technology, combines premium base oils with high performance additives in a way that provides diesel parts protection that rivals synthetic performance. Delo engine oils with ISOSYN® Technology help provide extended service protection, maximize engine durability and minimize operating costs. Delo is more than just a premium line of engine oils. From transmissions to differentials, from wheel bearings to shackle pins, we’ve got your equipment covered. 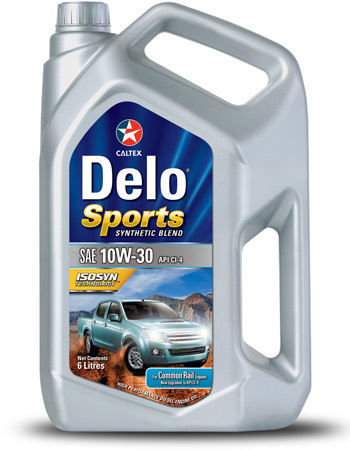 Delo ® Sports Synthetic Blend SAE 10W-30 is a premium quality, high performance, low viscosity synthetic blend diesel engine oil, specifically designed to meet the requirements of SUVs – sports utility, sports activity, pickups including 4X4 off-road vehicles of Japanese origin. This API CI-4 heavy duty type synthetic blend formulated from high performance hydrocracked base oils combined with selected synthetic base fluids, is environmentally friendly as its synthetic properties support clean fuel burning with lower emissions, and its low viscosity facilitates increased fuel efficiency. Very high oxidation stability combined with excellent dispersant and anti-wear characteristics minimizes deposit formation and wear, extending engine life. 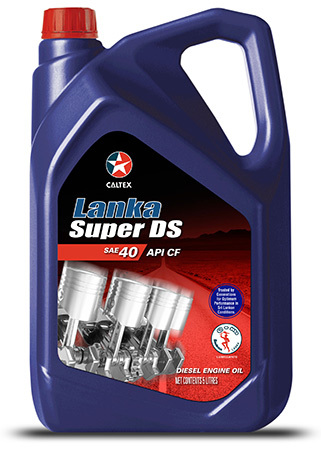 Lanka Super DS is the leading heritage Lankan brand for diesel engines, trusted by generations over three decades, for optimum performance in Sri Lankan conditions island-wide. This high quality monograde; heavy-duty diesel engine oil is specially designed to lubricate diesel engines requiring API CF performance lubricants. The level of alkaline reserve makes it particularly suitable for use with high sulfur fuels. Lanka Super DS engine oil is also suitable for Gasoline engines. Saves on maintenance and prolongs periods between overhauls. It also preserves power and performance and enables long oil drain intervals. Super Diesel Oil (CF) Multigrade is a heavy-duty diesel engine oil specifically designed to lubricate turbocharged and naturally aspirated diesel engines that require API CF performance lubricants in price sensitive markets or in conditions that require frequent oil changes.